~This page is not actively maintained as of 2017. 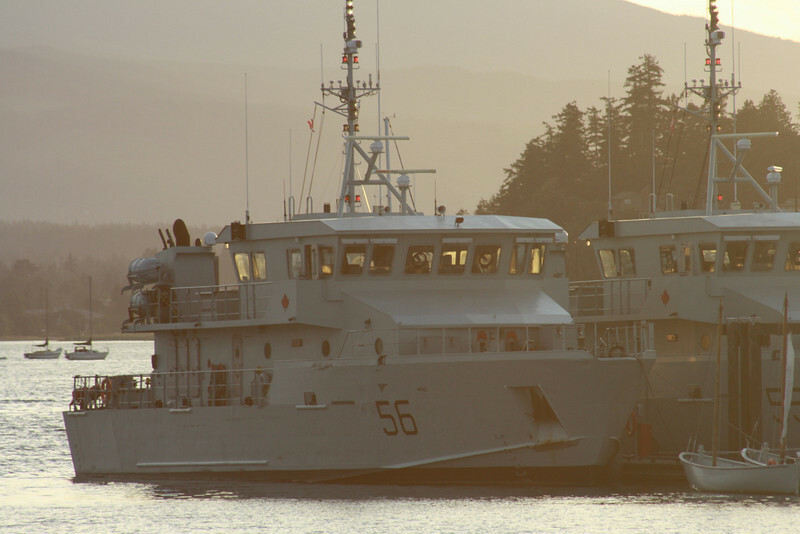 You can still contact it for some limited help from the now Ex-Cadet that operated it though it is suggested you contact 126 RCSCC directly through Facebook or calling the office directly. Most information on this page should not change however it is not guaranteed to be correct. In cadets you will work with other cadets, officers and sometimes wildlife in creating a strong citizen that is both well educated and a strong leader. We help to make a secure place to be both yourself and someone completely different. 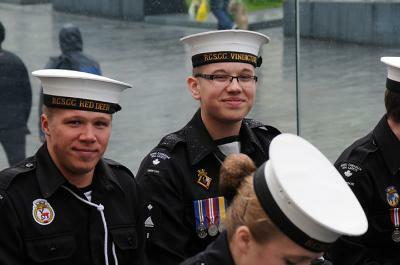 As our unit is very community-intensive, we participate in many ceremonies and public events and also many military/cadet specific events such as sail weekends and Remembrance Day ceremonies. Normally in the Spring-time we will have sailing weekends where cadets learn how to correctly and safely sail the International 420 sailing boat, among a few others. We learn safe sailing and how to sail at a competitive level, some going on to sail in local regattas, provincial or national competitions, even having the opportunity to achieve Olympic sailing abilities. 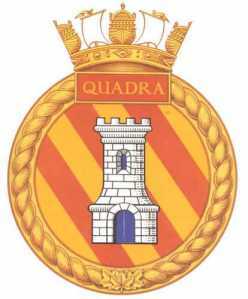 Each unit has a separate crest to distinguish on uniforms. At our home unit you will have a lot of opportunities for sailing, seamanship and many other areas in weekends, daily courses and classes that are taught on training nights every Thursday night. 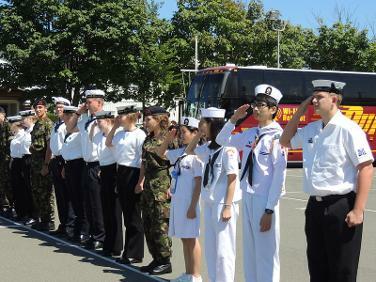 Along with travelling to camps in Canada some cadets are also given the opportunity to go on foreign exchange. These exchanges can either be for events and memorials like Remembrance day or for learning the different ways of foreign cadet Cores in countries like Great Britain, Australia and South Korea. This page was originally made in 2015 as a test bed for a dedicated Red Deer Sea Cadet page. 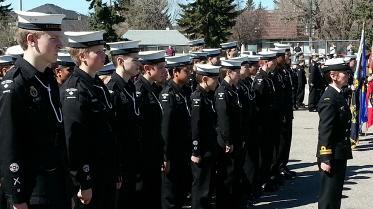 The creator of this page has now aged out of cadets and neither participates in 126 RCSCC Red Deer's cadet functions or actively monitors the page as of right now. Contact submissions to this page go directly to an old email and may not be responded to as it is not checked often. 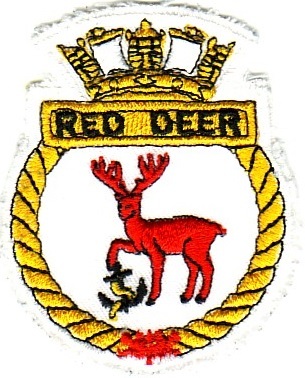 This page was made with permissions from officers and staff of 126 RCSCC Red Deer without acknowledgement to any CATO or cadet rule base for websites as it was both a proof of concept and test, however it provided relevant information in a manor suited for needs of that time and will remain visible for public viewing. It does not represent the current cadet program in its entirety or the current members of the program being cadet, officer, Naval League, D.N.D, C.I.C or other affiliates. All information, images and contact information were allowed for use around the date of November, 2015. Most images were taken and used directly from 126 Red Deer's items and have no affiliation with other groups.